Most fragrance families have strange, if not weird names. But "Orientals" almost sounds racist... And it kind of is. 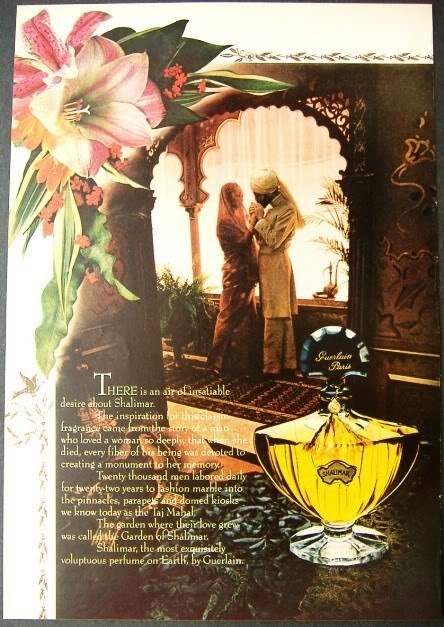 The term originates in the "Orientalism" movement in art, architecture and design which was most prominent in the 19th Century, but began before and continued after as well - and is still alive and kicking in the world of perfumery. 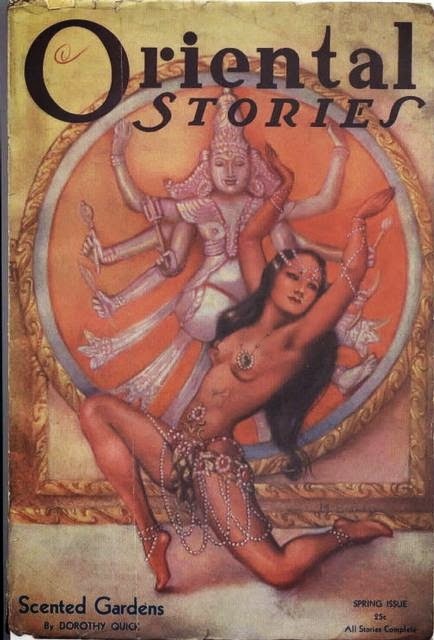 Orientalists had one thing in common - what seems like an obsession and perhaps even idealization of cultures in the Middle East, Asia and North Africa. But there is also a sense of condescending. A view that has a subtext that says that Western culture is better, and could imply a view that these cultures are static, primitive or inferior. Which of course is far from the truth. The Orientalism in 19th Century Europe was largely related to imperialism. It romanticized Asian, North African and Middle Eastern cultures, in a way that is neither authentic nor free of prejudice. With that being said, it has largely influenced popular culture as well as perfume and the design and art that go with it. From bottle design to the actual "jus" - the Orient was infused in many perfumes of the early 20th Century - and beyond. Names such as Mitsouko, Shalimar, Crepe de Chine were some of the first to derive their inspiration, name and design from "Eastern" themes; perfumes such as Opium, Cinnabar and Samsara revived the interest in Orientalism towards the end of the 20th Century; and now we have Tom Ford and Serge Lutens as the leaders of the post-modernist Olfactory Orientalism movement, with perfumes bearing names such as Shanghai Lily, Japon Noir, Plum Japonais, Bois Marocain, Arabian Wood, Ambre Sultan, Arabie, Borneo 1834, Muscs Kublai Khan, Fumerie Turque, Rahat Loukum, etc. Besides the aesthetic idealism of this style and movement, there is also a clever marketing decision, cashing on the Westerner's constant desire to be swept off their feet by an exotic culture; be transported into distant places with only a whiff from a bottle. Admittedly there is much magic in this; but also the danger of caricaturization an entire culture, and innocent yet wrong interpretation of names, concepts and symbols. One such example is Samsara - a wonderful floriental by Guerlain created in the 1980's, with an evocative name that mean "seven heaps of dung" - a metaphor to the material body's various stages of life. Hardly a romantic meaning for this gorgeously orchestrated jasmine-and-sandalwood perfume. As one can see by the choice of name, marketing and advertising materials - there are plenty of stereotypes packed into each one of these, perhaps all exemplified and demonstrated by this long-yawn-inducing video clip for Guerlain's iconic Shalimar, a mega production that seems to cater to the teenage male fantasy of computer-games and completely unrealistic courtship: misogynistic as well as patronizing a bundle of Eastern cultures (kind of hard to tell where one begins and another ends - we have here an amalgamtion of what seems like an Arab prince on a white stallion, the iconic Indian Taj Mahal, and a passively bathing gal in what seems like a Turkish hammam). FYI: This main female character is blonde and blue-eyed, and does nothing the entire 5:44min film except fantasize about her prince and prepare for his return from the trip to save her from months of boredom in the palace (which will be achieved, of course, by building her another palace). What a shame, since Shalimar was inspired by a very tragic love story - Mumtaz Mahal died in childbirth, and the Taj Mahal was in fact a giant tomb which once completed, her lover was buried in it too. 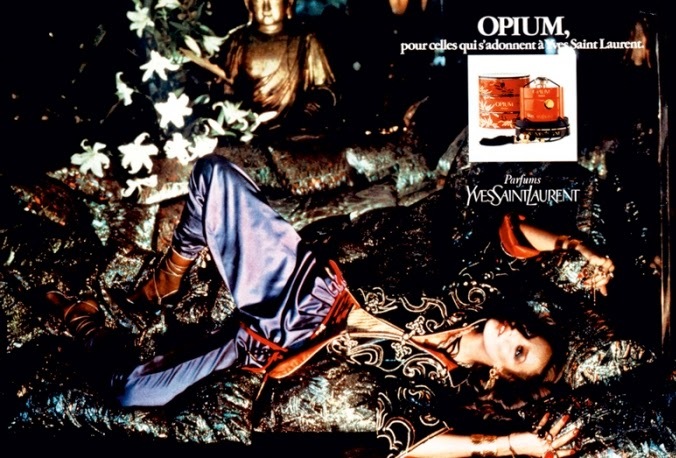 There is no shortage of Orientalists-inspired perfumes, Opium being one of them - launched in 1977, alongside Yves Saint Laurent's Chinese-inspired haute couture collection. It's a wonderfully spicy oriental, with balsamic-resinous counterpoint as well as fresh citrus, and yet the cloves and patchouli at its centre make it unmistakably connected to China (the first place to distill cloves, by the way). Opium has always been provocative with its ads, walking a fine line between portraying languid, opiated women as if they're in the midst of sexual climax. No matter how wonderfully they are photographed - they are highly objectified: the woman in the 1977 ad above seems like part of the tapestry and design, not really like a flesh-and-blood person - at the time of launch criticized more so for the name, suggesting a legitimization of drug use; and Sophie Dal from the more recent (and even more provocative campaign) looks as white as a dead petal of orchid or a marble statue (not to mention completely naked except for her jewellery and stilettos). But no matter how you slice it - there is more than just a hint of suggesting that Asian culture can be shrugged off by these opium-den references, never to be taken seriously. 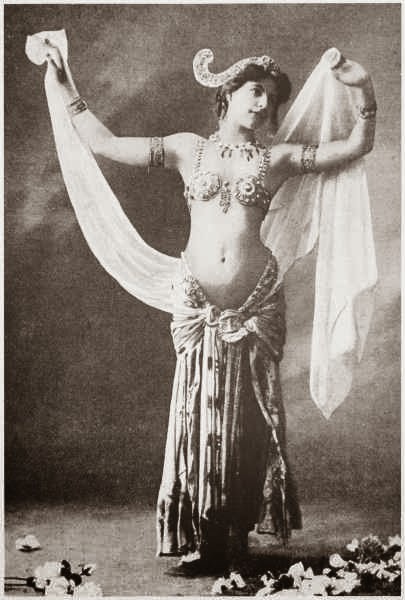 Orientalism and exoticism has also found traction in European culture through the performances of the legendary Mata Hari (the stage name for a Dutch exotic dancer, whose olive skin and darker hair, complete with Indonesian (then known as the Dutch-East-Indian) inspired outfits and music. Mata Hari was executed by a firing squad after being prosecuted for espionage during World War I (in 1917)*. On a more nerdy and technical level, there is much more to be said about Oriental perfumes, besides bottle designs, names, or using exotic materials. Historically, perfume technology evolved in the East first - beginning in Mesopotamia, where fragrant resins were discovered, and continuing to Egypt, where the first perfume-incense-blend Kyphi was created, using no less than 16 secret ingredients (the formula was written on the walls of a temple, and re-discovered thousands of years later). From Egypt, the knowledge and technology of perfume making (which was strongly tied to practical as well as spiritual practices of alchemy) moved to the Mediterranean region. In the island of Cyprus archeologists recently found the remains of the first perfume factory that was destroyed by an earthquake in 1850 BC were discovered. In Asia - primarily in India and China - there were also (probably parallel) developments, where the Indian and Chinese alchemists were hard at work looking for similar things though with different names than the Western ones - Chrysopoeia (transmutation into gold, which was universally considered by alchemists as the ideal physical matter), the Aqua Vitae aka elixir of life or longevity, and Panacea (the cure-all medicine). The Indians knew how to distill essential oils as early as the 6th century AD. 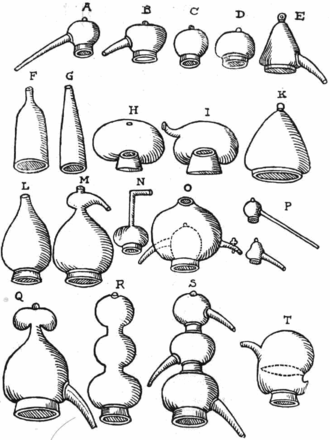 "The first evidence of distillation comes from Greek alchemists working in Alexandria in the 1st century AD" - mostly of hydrosols; and around the same time (during the Han Dynasty), the Chinese also got their hands in distillation - although it won't be till hundreds of years later that they would widely use that technology for distilling beverages. In the 6th century, the Indians were also distilling their own essential oil, from agarwood; and the Arabs and Muslims, who likely learned this from the Alexandrians (in Egypt) and India (by way of Persia). Nevertheless, the Arabs and Muslims are credited for perfecting this technology, and for discovering alcohol (ethanol) and how to separate it from wine, and last but not least - spreading their advanced technologies to the West as they concoured Europe. Ibn Sinna (aka Avicenna), a Persian doctor, have found a way to separate ethanol (alcohol) from wine - not an easy feat, especially considering its low boiling point and high evaporation rate and flammability. And if it weren't for the Muslims concurs of the Balkan, North Africa and then Spain - Europe might be never become fragrant at all. The Muslims brought their technological advances with them to wherever they traveled. And these have made their mark on today's chemistry and medicine. The Chinese as well as the Indians have perfected the art of incense, which transformed from a crude burning of resins, gums and woods into a technologically advanced and the beginning of distillation technology was developed. 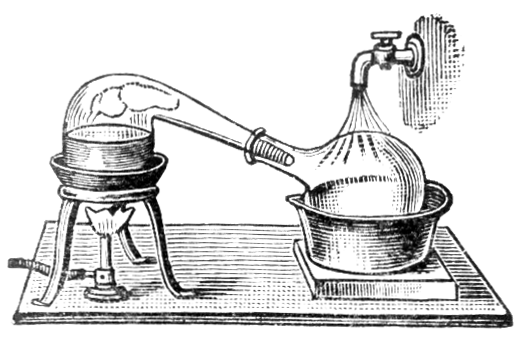 It was not until the Middle Ages, that thanks to the Muslim alchemists and doctors, the science of distillation have been truly perfected and distilling delicate flowers such as rose and orange blossoms became possible - first as hydrosols (floral waters) and then as attars (the Arab name for essential oils). The term "Attar of Rose" means "rose essential oil" (Attar is an Arabic word, which refers to the spirit or “ether” of the plants, i.e. the essential oil. The word “attar” or its permutation “otto” is often used to describe rose essential oil (in perfumery literature, it is referred to as “rose otto” or “attar of rose”). 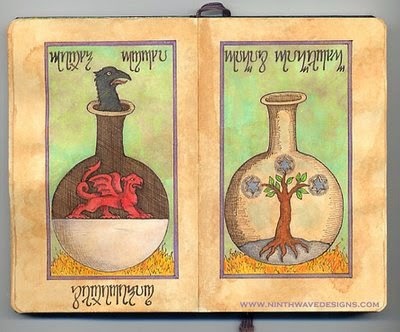 There is much more to "Eastern" perfumery than meets the eye. And this is owing greatly to the fact that the knowledge and formulae were not typically recorded - but passed from generation to generation as oral tradition and through apprenticeships. Till this day, Indian and Arabian perfumery spark one's imagination with their exotic raw materials and dreamy compositions unlike any others found in the West (though imitations abound). The traditional Indian perfumer is not only an olfactory artist and a master distiller - but also a forager of wild treasures. Armed with a copper still small enough to carry on their backs, they travel the jungles and fields, collecting seasonal perfumed plants and distill them fresh on the spot into sandalwood oil, creating rare attars such as blue lotus, white lotus and pink lotus (which they need to harvest while immersed as high up to their waists in marshes and ponds). You can read more about Indian perfumery in White Lotus Aromatics' newsletters, such as this one about making Hina. 1) The formulation process takes place with the raw materials prior to distillation. The spices, woods, resins, herbs, flowers and so on are measured and blended together in their raw state and only than placed in the still. My guess is, that the principles of blending these perfumes may be in tune with Ayurveda or spiritual and religious principles such as the chakra systems. Rather than blending based on technical qualities such as volatility rate and tenacity - plants and raw materials are chosen for their elemental affinity, energetic qualities and healing powers (i.e. : moist/dry; warming/cooling). 3) Last but not least, unlike modern Western perfumers, the Indian perfumers actually distill their own essence. They are in touch with the plants in their original raw state, and at times even pick them from the wild. Using a light, portable copper still, the perfumer can carry it on his back while entering the wilderness to collect flowers in their blooming season, be it from the coast, the jungle or the pond For example: lotus and water lily have to be harvested while the perfumer goes into the marshes, and immerses himself waist-deep into the murky waters. Arabian perfumery is also rather secretive, as they were strongly associated with religion. Mohammed was particularly fond of roses and perfume and saw the importance of bathing and perfuming one's body: "The taking of a bath on Friday is compulsory for every male Muslim who has attained the age of puberty and (also) the cleaning of his teeth with Miswaak (type of twig used as a toothbrush), and the using of perfume if it is available" (Sahih al-Bukhari). Arabian perfumes were at first macerations of various spices, woods, resins and animal materials (i.e. : ambergis, musk) in a fixed oil (such as olive). When advancements in distillation technologies took place, their perfumes became more refined and sophisticated. Similarly to the Indian "Attars", suspended in sandalwood oil - the Arabian perfumes were carefully blended oils of rose, musk grains, and other costly essences, in a base of non other than the rare agarwood oil. This gave them an over-the-top richness that even surpasses that of Indian Attars. In additional to oud, the Arabs were - and still are - very fond of musk (which they mixed with the mortar when building some of their mosques), rose, ambergris and saffron. These potent essences were blended in full-on concentration into the agarwood oil, creating at times very richly animalic perfumes, sometimes smelling almost like "barnyard" - for example when darker, more animalic ouds formed the base for even funkier animal essences. To summarize: Egyptian perfumes, Asian perfumes, Arabian perfumes and Indian perfumes are created with completely different principles in mind. Although literature in English barely exists on the subject, I have my guesses on what these guiding principles are. What is common to all these traditions, is that they are the true origin of perfume, and it is strongly tied to spirituality. Perfumes were first viewed as the spirit of plants, and as having the ability to alchemically transform those who smell them and use them. A far cry from the passive opium-den, harem-bound women portrayed in the "Orientalist" fragrances, these perfumes were meant to transform the soul, heal the spirit, and invite it back to the body and connect it to the divine force and bring it renewed health and vitality. *Another not any less famous dancer, who was also a spy but did not suffer a tragic death as a consequence was Josephine Baker, who inspired at least two perfumes that we know of: Bois des Îles and Sous la Vent. Nice blog thanks to sharing this usable content, surely its helpful for everyone. DSIFD Indore wanna to say thanks.